O'Neill Truly Stripe Dress $54 Free US shipping AND returns! Lilly Pulitzer Adelia Upf 50 Tennis Dress $128 Free US shipping AND returns! Saint Laurent Heart Print Silk Dress $1,990 Free US shipping AND returns! Saint Laurent Smocked Silk Ruffle Minidress $2,890 Free US shipping AND returns! 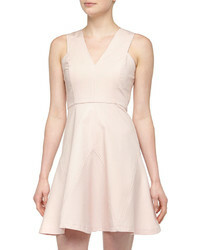 The East Order Elsa Minidress $101 $169 Free US shipping AND returns! Bardot F Lace Dress $139 Free US shipping AND returns! Fame and Partners The Delta Sequin Dress $137 $229 Free US shipping AND returns! Alexander Wang Football Jersey Dress $1,995 Free US shipping AND returns! French Connection Whisper Polka Dot Dress $74 $148 Free US shipping AND returns! Ted Baker London Emileen Floral Minidress $279 Free US shipping AND returns! French Connection Frances Jersey Dress $76 $128 Free US shipping AND returns! J.o.a. Front Twist Minidress $104 Free US shipping AND returns!